Damnnn!! Hanging with my friends and I got two cases back to back! Marijuana misdemeanors back to back! Earlier this year my 18 y/o high school son got caught with marijuana in his locker. He received a ticket and before he went to court he was stopped by the police in the a car with a couple friends and charged again with < 1 oz of marijuana. He just got off of work and his friends were using while he was finishing up. He is starting college and I’m concerned as to whether he will have to serve jail time due to the back-to-back charges. If convicted of the charges, he may face jail time and/or fines. The maximum punishment for misdemeanors like this is a $1000 fine and/or 1 year in jail. Hire a lawyer. He now has two open cases. Simmons Law is an Atlanta based law firm. We have serviced clients in similar situations as this, achieving great results for our clients. Can you get probation for a sexual battery misdemeanor charge ? I didn’t do anything to make her feel uncomfortable….I’m not like that at all I don’t touch females an woman or lil girls in the wrong way at all I love an respect girls ..she wanted to do it ..I asked her if she wanted to do it an she said “yes ” so I walked up to her an we started doing what we was doing an then a girl walked passed us an asked if we was running a train on her an the other girl I was with walked away an then a couple days later ..I had a warrant out for me for nothing an I don’t like going to jail ..I have noo lawyer an if I can beat this I just want probation…I don’t want no time in jail ….PLEASE HELP!! Anything is possible. However, you are facing a serious crime so it is best for you to hire an attorney immediately and refrain from making incriminating statements. Even with getting probation, this type of charge can have other unfavorable consequences that you will probably face. IF THIS ANSWER WAS HELPFUL, LET OTHERS KNOW IT. THANK YOU! LEGAL DISCLAIMER: No attorney-client relationship is established on the basis of any information provided by Tiffany Simmons (Simmons Law). To establish such a relationship, a written fee agreement must first be executed by the attorney and the reader. The responses given by Tiffany Simmons are in no way intended to be actual legal advice, and they should not be interpreted as such. WE ARE NOT ALLOWED TO “COACH” ANYONE either here online or by telephone should a reader happen to call us. Instead, our responses are given as general information to be considered, reviewed and confirmed by an attorney more familiar with the reader’s particular circumstances. All information posted herein is specific to the laws of Georgia and should not be considered as information for the public at large. If you find yourself involved in a legal matter, seek assistance from an attorney in your local area. No reader should rely on any statement made here without first verifying it, in person, with an attorney. Any person who relies on any information contained in these responses does so at their own risk. Go see an attorney! How can I get a sentence modification in Georgia? I need help for my homegirl!! My homegirl was sentenced to do 6 months in rehab but she has to sit in jail till she goes to rehab?? What happened? Apparently the rehab the judge wanted her to go through was different and she was in another rehab and doesn’t have her on the list. She been in jail 8 months doing dead time all because of their mistake and miscommunication. It sounds like clarification is needed on what the judge sentenced your friend. An attorney will be needed to file a motion for a sentence modification. Hire an attorney for your friend so that the attorney can look into the facts and the prior sentence. PLEASE, IF THIS ANSWER WAS HELPFUL, LET OTHERS KNOW IT. MARK THE ANSWER AS HELPFUL. THANK YOU! LEGAL DISCLAIMER: No attorney-client relationship is established on the basis of any information provided by Tiffany Simmons (Simmons Law). To establish such a relationship, a written fee agreement must first be executed by the attorney and the reader. The responses given by Tiffany Simmons are in no way intended to be actual legal advice, and they should not be interpreted as such. WE ARE NOT ALLOWED TO “COACH” ANYONE either here online or by telephone should a reader happen to call us. Instead, our responses are given as general information to be considered, reviewed and confirmed by an attorney more familiar with the reader’s particular circumstances. All information posted herein is specific to the laws of Georgia and should not be considered as information for the public at large. If you find yourself involved in a legal matter, seek assistance from an attorney in your local area. No reader should rely on any statement made here without first verifying it, in person, with an attorney. Any person who relies on any information contained in these responses does so at their own risk. Go see an attorney! I’m on probation in Tennessee but I live in Atl. What do I do? Do I have to go to the state I’m currently on probation to get it transferred to the state I reside in? I’m on probation in Tennessee but I live in Ga. I didn’t know I was on probation in Tennessee. I want to get the probation transferred to Georgia but I’m being told I must travel to Tennessee to initiate the transfer and it could take anywhere from two weeks to 1 month. I don’t have the means to travel like that and I’ll lose my job. Do I have to go to Tennessee just to get my probation transferred down to Georgia? Yes you or someone on your behalf would have to go to Tennessee to address the probation. You may want to hire a local Tennessee attorney that can probably handle a lot on your behalf without you present. But you would have to address this in Tennessee at least to get a transfer. The other attorney answers are great as well. PLEASE, IF THIS ANSWER WAS HELPFUL, LET OTHERS KNOW IT. LEGAL DISCLAIMER: No attorney-client relationship is established on the basis of any information provided by Tiffany Simmons (Simmons Law). To establish such a relationship, a written fee agreement must first be executed by the attorney and the reader. The responses given by Tiffany Simmons are in no way intended to be actual legal advice, and they should not be interpreted as such. WE ARE NOT ALLOWED TO “COACH” ANYONE either here online or by telephone should a reader happen to call us. Instead, our responses are given as general information to be considered, reviewed and confirmed by an attorney more familiar with the reader’s particular circumstances. All information posted herein is specific to the laws of Georgia and should not be considered as information for the public at large. If you find yourself involved in a legal matter, seek assistance from an attorney in your local area. No reader should rely on any statement made here without first verifying it, in person, with an attorney. Any person who relies on any information contained in these responses does so at their own risk. Go see an attorney! Reset Notice? I don’t understand. What is a reset notice mean? My son have probation for 10 years every since 2014. Now my son’s probation officer is trying to reduce my probation and we got a re-set notice. Without seeing the actual document, I would agree that the reset notice is just the document resetting the case for another date. There are many reasons that a case may be reset. If he has an attorney, contact them and let them know that you received the notice. Getting into trouble while you already have a pending legal case is not a good indicator to the Judges/court that you will not “re- offend.” If you have violated the terms of your original conditional discharge agreement then the judge has many options as far as what he/she will do. Hiring legal counsel is the best option for you as you deal with the new case, as well as the consequences of violating the terms of the old case. 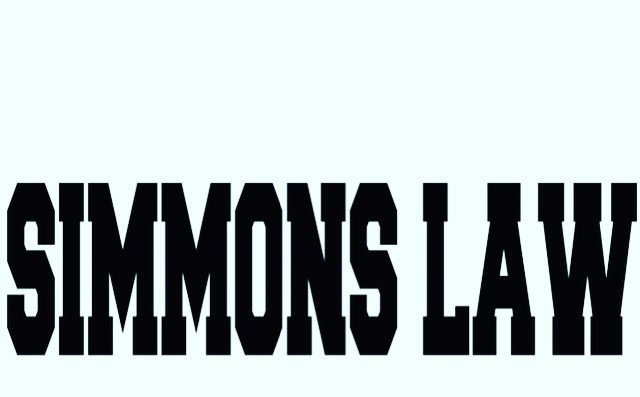 Simmons Law provides counsel in the areas of business, criminal defense, and entertainment law. Contact an attorney that can help assess the facts and assist you through the process. A lawyer writes a trap novel??? Attorney Simmons has released her 4th book! yes her 4th. A “trap” novel, THE PLUGS LAWYER!!!! Its the first installment of her trap novels introducing to the world the character, Tia and her life. The Plugs Lawyer is labeled a trap novel because its a book born out of “trap life.” The life where you take risks and prosper; the life where you fight for what you want while dealing with what life hands you! The life where you don’t know how you gonna make it but you got to! The life where your family and future depends on you getting out the hood for good. This trap novel is raw, gritty, and witty. This unexpected tale of the good girl with trap habits that shoots for her dream as “The Plugs Lawyer!” Kinda hood, more classy, Tia Jones. Midwest raised, southern paid, the lawyer that talks the talk & walks to walk, as we see what made her become the “legal genius of the nation.” The Plugs Lawyer is made for that girl looking to escape her past for a better life. Ride the wave of life with Tia in the first installation of three as she builds the Jones Law empire. Betrayal, desperation, desire, & persistence, this story is the voice for the smart, hood girl looking to find where she belongs… which is at the top. The book can be ordered via https://tiffanysimmons.myshopify.com/products/the-plugs-lawyer-the-first-ever-trap-novel or amazon/kindle https://www.amazon.com/Plugs-Lawyer-Tiffany-M-Simmons/dp/1548244333/ref=sr_1_1?ie=UTF8&qid=1500230312&sr=8-1&keywords=the+plugs+lawyer and bookstores across America. The first official book signing will be held July 22, 2017 at Medu Bookstore in Atlanta, GA from 2-5 pm. Purchase the book and enter to win an exclusive Plugs Lawyer Piece and more!